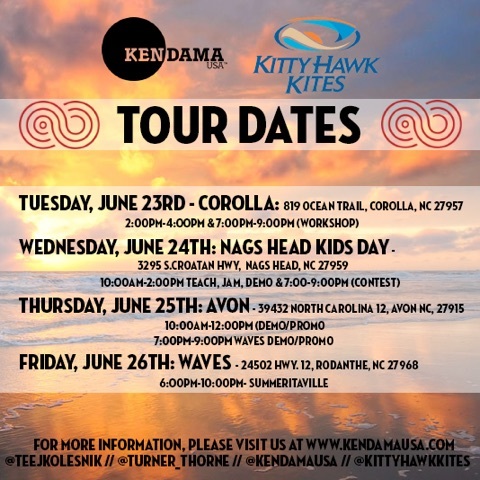 We’ve touched down and are going to be visiting a few Kitty Hawk stores in the North Carolina area! We’re going to be here all week and here are the dates and locations of where we are going to be. Thursday 6/25 – We’ll be in Avon for a couple of hours then going to Rodanthe. 6 – 10PM – Come find us at Summeritaville!